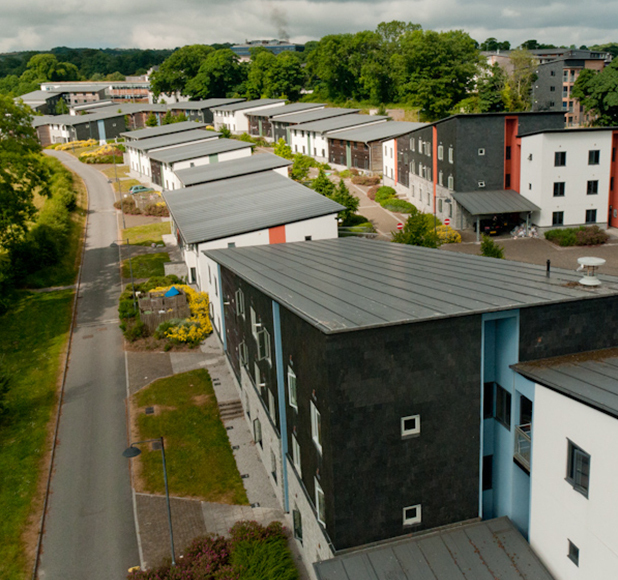 The scheme is an award-winning ‘village’ of student accommodation, comprising 1600 en-suite rooms, staff flats, porters lodge and communal storage areas. Part of a 70 acre higher education campus development, it is uniquely used and managed jointly by two independent institutions, the University of Exeter in Cornwall and the University College Falmouth. 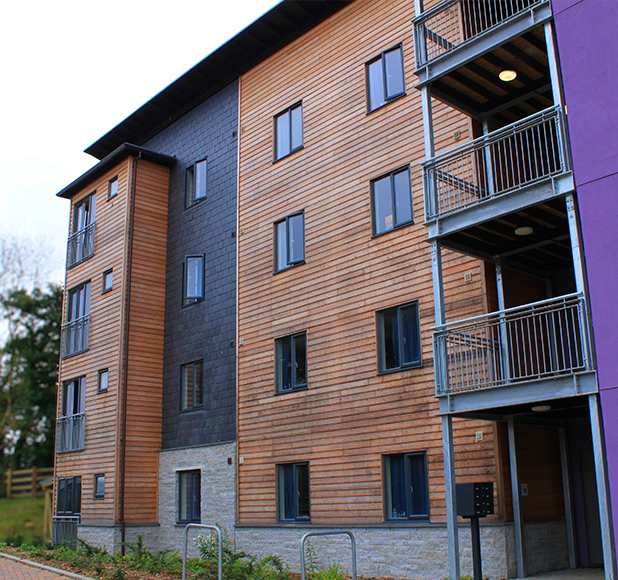 The student community was Construction News National ‘Quality in Building’ Award Runner-up; RICS South West Regeneration Award Winner; Concrete Society Award Finalist in Building Category; and Michelmores Commercial Property Award Runner-up for Building Project of the Year.